Help Fund The 2012 Minneapolis Underground Film Festival! 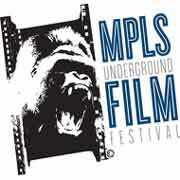 The 5th annual Minneapolis Underground Film Festival is currently raising funds via the website Indiegogo. The fest is set to run at the St. Anthony Main Theater on August 17-19 with loads of great feature films and short films, as well as a special selection of movies made by local talent. Please consider donating! To date, MUFF has been pretty much under the radar, but it’s a solid underground fest with its own unique voice that’s been growing by leaps and bounds every year, especially under the tutelage of Mark Hanson, who took over as Festival Director with the 4th edition. The fest is now better positioned as a summer film festival and has another strong lineup of films such as Marten Persiel’s This Ain’t California, Derek Franson’s Comforting Skin, Michal Kosakowski‘s Zero Killed and loads outlandish, intriguing and fascinating fare. This 5th edition of MUFF appears to be their biggest yet! And we’ll have the full lineup on the Underground Film Journal soon. Funds raised by Indiegogo will go to pay for flight and accommodation for visiting filmmakers, theater rental fees, advertising and for their big blow-out after-party that will provide complimentary beer & wine. So, again, please consider donating to this excellent organization. It’s a great festival run by a great group of people.